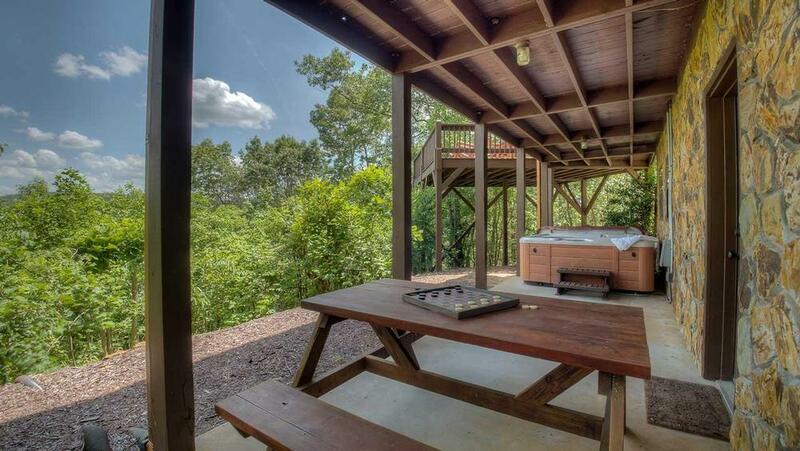 Heavens Whisper is a peaceful oasis in the popular Aska Adventure Area of Blue Ridge. Tucked into a hill, its serene setting is a haven from the hustle and bustle of everyday life. 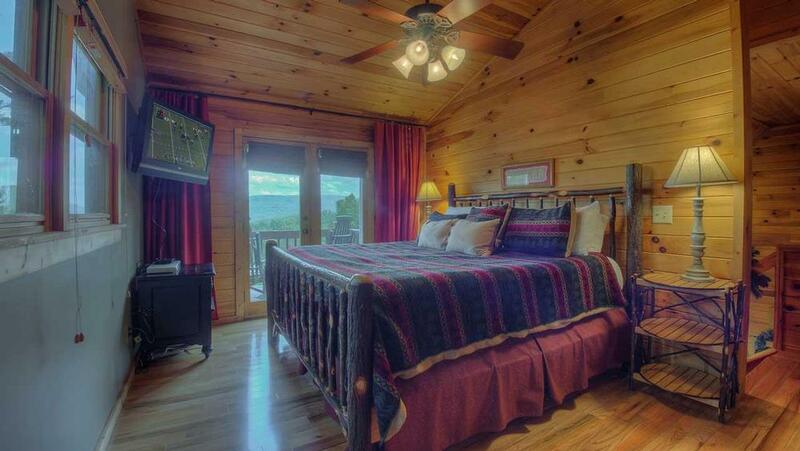 A group of friends or couples looking for a relaxing mountain getaway will think they've found heaven on earth here. This cozy cabin features warm, rustic decor with caramel-colored, tongue-and-groove walls and heart pine floors throughout. Wilderness-themed accents such as a fur throw rug, garland over the mantle, and a subtle bear motif offer an authentic mountain atmosphere. 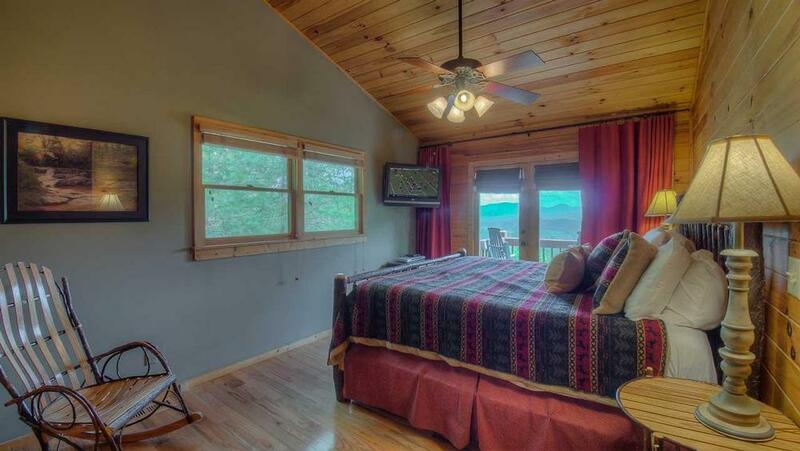 Wake up to spectacular mountain and lake long range layered views set against picture perfect skies outside your window. Make some breakfast for the gang in the beautiful, spacious eat-in kitchen. Then grab your fishing rod and head out to Lake Blue Ridge to catch some bluegill or largemouth bass. Spend the day on the water, enjoying a leisurely swim between bites. Explore the countryside with an invigorating bike ride or a leisurely hike through the hills. 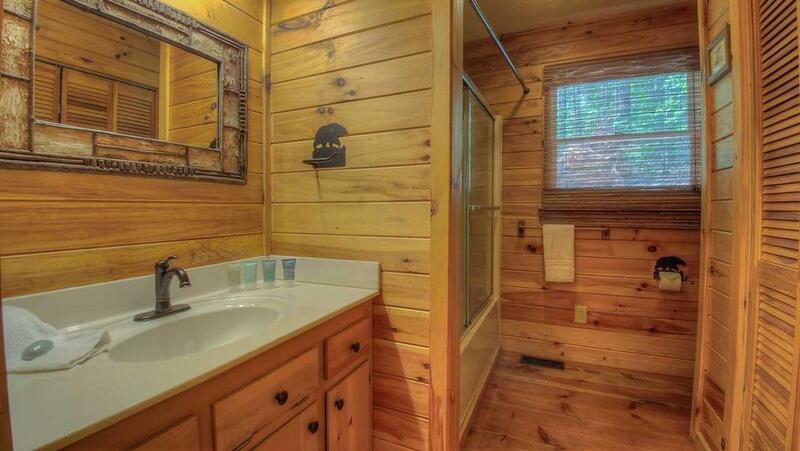 In the late afternoon, head back to the cabin to shower up and relax before dinner. 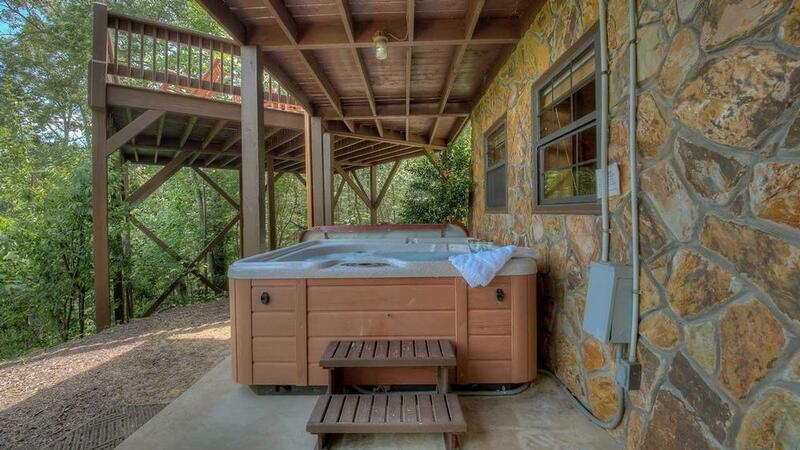 Have a snooze in the hammock or lounge in the hot tub with a few ice-cold beers. Grill the catch of the day or flip some burgers and have dinner out on the picnic table. Listen to music on the spacious party deck while kicking back on the rockers, enjoying the heavenly views and each other's company. This is a spot you may never want to leave! 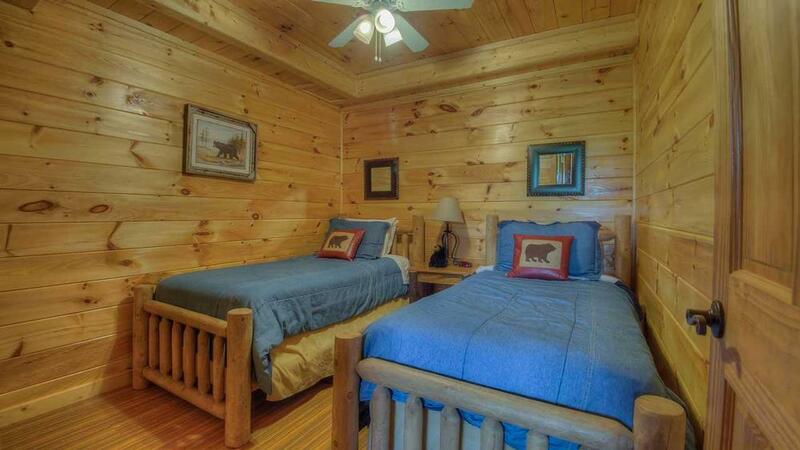 Whether you choose the cozy queen bedroom on the main floor, the adorable twin beds downstairs, or the lovely master upstairs, you're in for a blissful night's sleep in beautiful, rustic wooden beds. 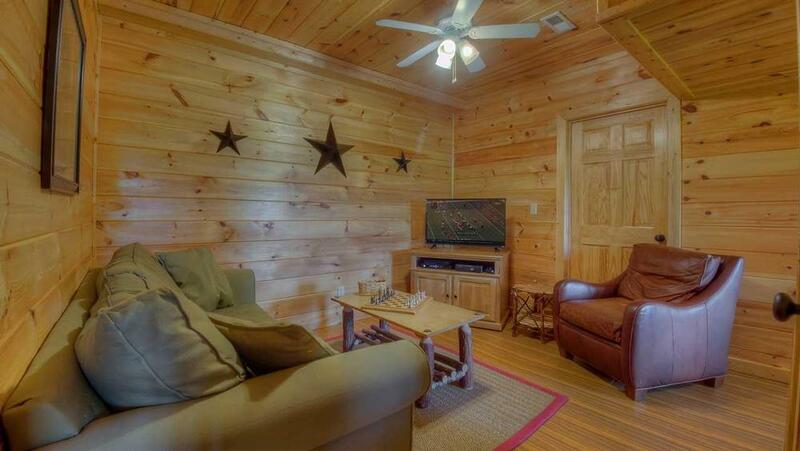 Up in the master bedroom, wind down with a little late night TV before calling it a night. When you awake, indulge in a peaceful moment to yourself — bring your morning coffee out on to the master's private porch and take in a glorious sunrise, feeling refreshed and ready for the world. 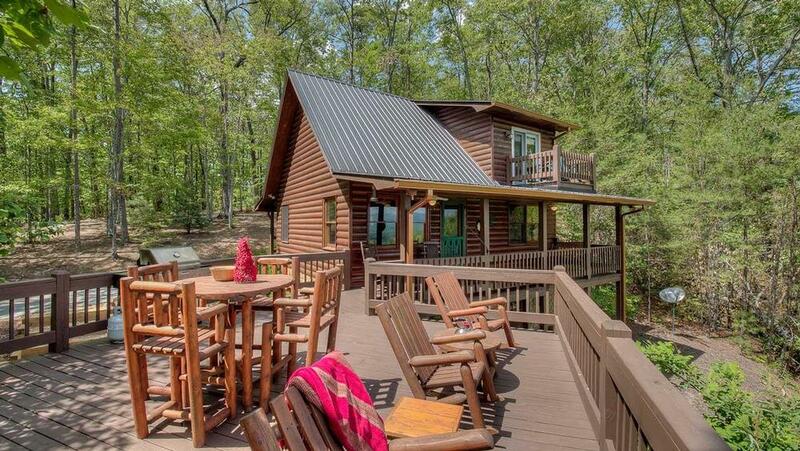 You'll feel close to heaven and nature at this quiet, secluded retreat... and if you listen closely, you'll hear the Heavens Whisper, calling you back here time and again. 01/19 - I enjoyed everything about our cabin. The kitchen was set up nicely. The kids room was absolutely perfect! We really enjoyed the fire pit and deck as well. Very professional. 10/18 - The views from the cabin were amazing! 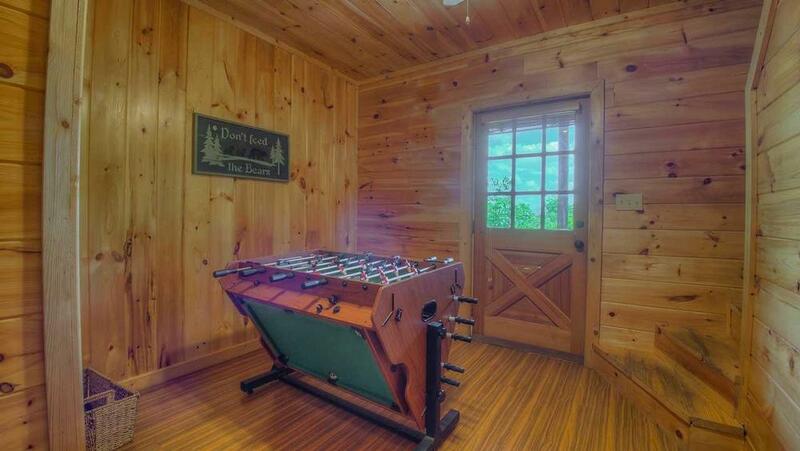 The cabin was nicely decorated with many upgraded features. 08/18 - The kitchen came with the pots and pans and everything needed. Loved it! 07/18 - Master bedroom view took my breath away every morning!!! Over all good company with friendly staff. 07/18 - We loved the deck and hot tub and how stocked the kitchen was. We had everything we needed to cook with. Very impressed. 08/17- Loved the deck on this home. The company was easy to book with. 07/17- The view is awesome and the furnishings are very nice. Very good company. 06/17- The view and the decks were awesome! The staff were very courteous and helpful! 04/17- We loved the view. 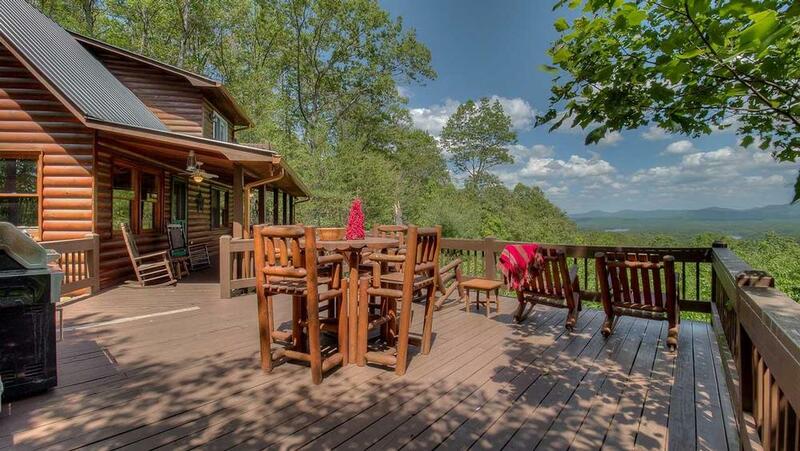 Escape to Blue Ridge is the best! 03/17- Our favorite features of the home were the view, the cozy feel, good access to town, the hot tub, the porch and the gas fireplace. The staff were helpful and attentive. 01/17- Lovely home! Well decorated. 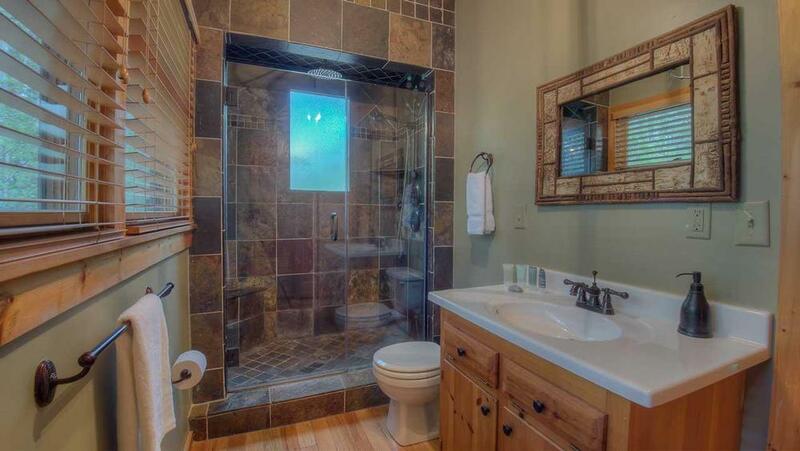 Loved the master bath. First time we rented with you and we will be back. Loved the area. Simple to book. Directions were perfect. Got exactly what we expected. Wish we could stay longer. 10/16- The view is incredible, as is the design of the cabin. It is also very convenient to town. I have a very positive impression of Escape to Blue Ridge. 11/16- The greatest thing is the view. It is breathtaking. 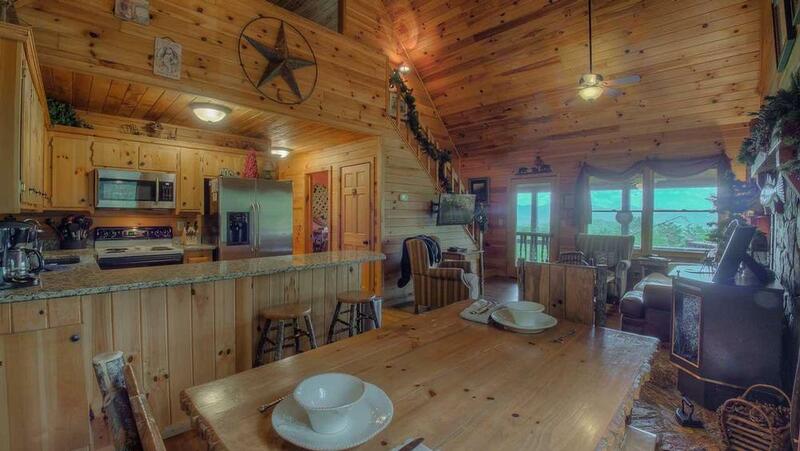 This cabin has three bedrooms and three baths so it is perfect for six people. Another nice thing, besides shopping in Blue Ridge there are about five or six beautiful little towns that are within 30 minutes of Blue Ridge and the shopping is great. 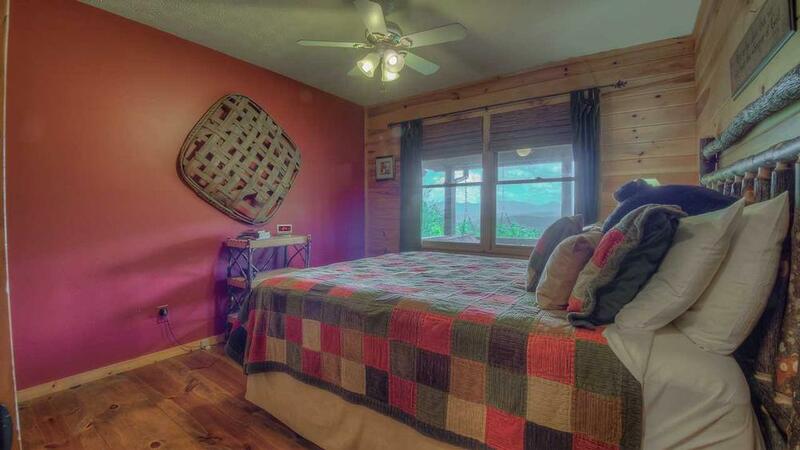 We go once a year in October and we have stayed in this same cabin for four years. I have a great relationship with all the ladies at the company, especially Cathy, but with all of them as well. 10/16- Rogers comment:Damn good..........House fine, except the step from the living room to the deck. My wife had a fall off the step. 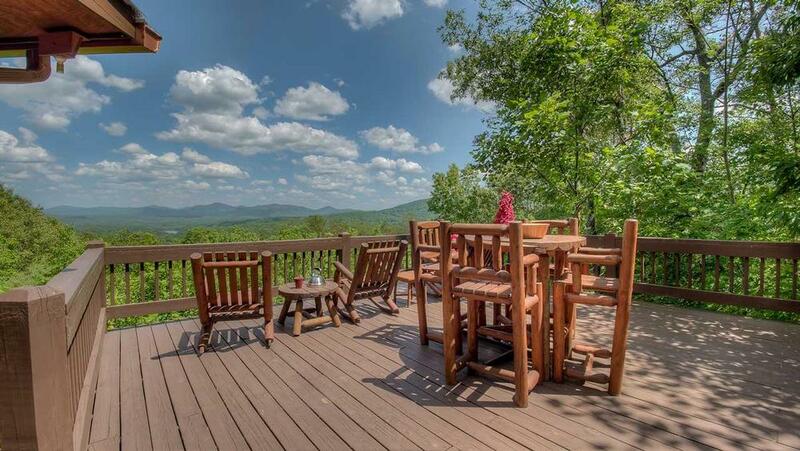 10/16- The deck captured some of the most amazing views Blue Ridge has to offer. Very well organized. 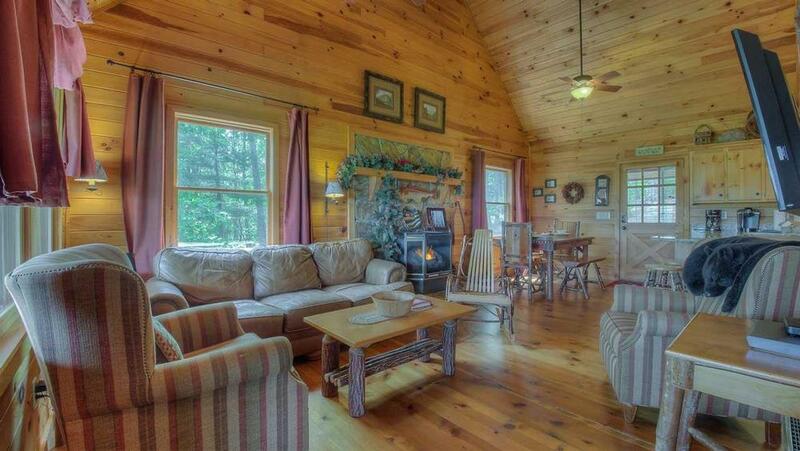 The next time I want a cabin, we will be coming to you all again! 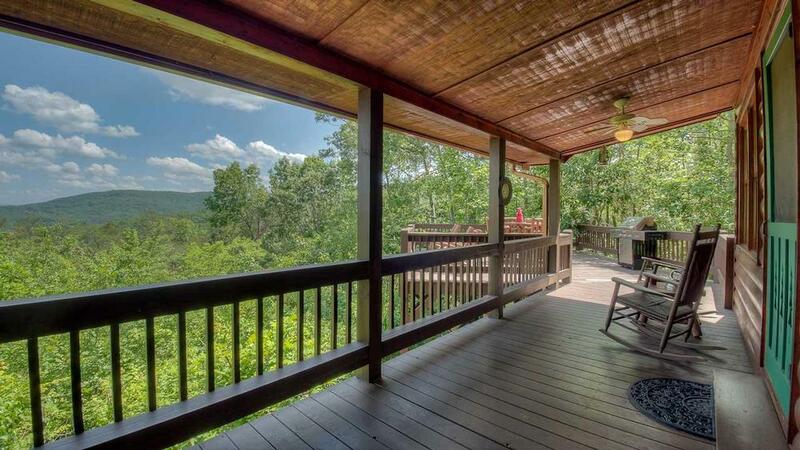 09/16- This house has a lovely deck with a great view of the mountains. At night, we had excellent stargazing! Very thoughtful and attentive staff. I enjoyed the extra information about activities in the area and the welcoming preparation of the cabin for our arrival. 09/16- This home was absolutely beautiful and clean, well maintained, everything you might think about needing. Beautiful breathtaking view. Love, love this house. 10 out of 10. Wonderful company to work with. Answered every question I had. Great response time. I will definitely be returning and I am also a travel agent. I will be sending people your way. Thank you so much for everything!!! 08/16- The view is spectacular and the comfortable accommodations were a hit. 07/16- It was very clean, had lots of amenities, and lots of space. The view of the mountains from the deck as well as from the inside was excellent. Everyone I spoke to over the phone was very courteous and did their best to help us. We are very satisfied with our stay. 06/16- It was my first time in the cabin I was just so amazed on the structure the way the cabin was built the wood the quality everything about it. 05/16- The view and the patio. Inside of the cabin was very clean and well equipped with kitchen items and toiletries. 04/16- The home was incredible. Great view from the deck. Beds soft and comfortable. 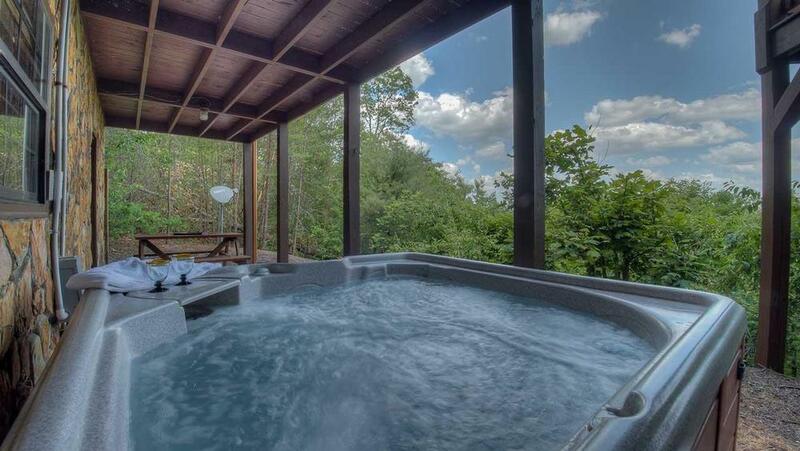 Hot-tub felt wonderful after hiking during the day. Nice area for kids on the bottom floor. Home was very clean. Binder with the information was very helpful. 03/16- Loved the views, layout of the cabin, ease of getting to town. 03/16- The view was amazing!! 12/15- Liked all of the porches. The "coffee nook" outside the master bedroom was really nice. I was very pleased with the service I received from the friendly staff. 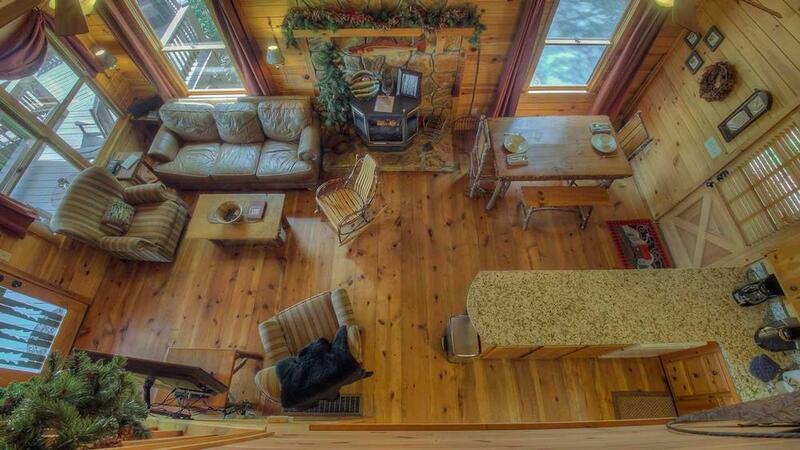 11/15- Cozy cabin in a great location with a fantastic view. 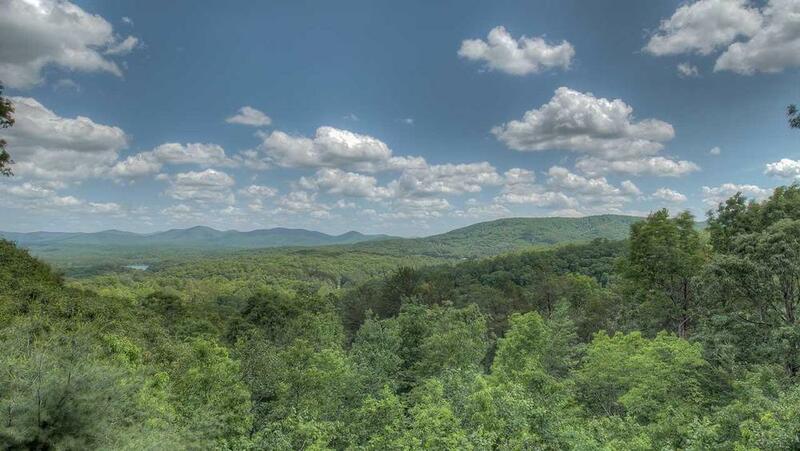 Escape to Blue Ridge made the entire process seamless and very easy. All emails were very informative and made the whole reservation process enjoyable. 10/15- Great place for a vacation. Great vacation house. This was our third year in this cabin. Love the view. Our guys went fly fishing and us ladies went shopping. 10/15- The view was our favorite feature mostly, the cabin was beautiful too. 09/15- The view was great as was the kitchen. The home was very comfortable. The staff was so helpful and always available when I called. They were very accommodating when I need to make changes and very willing to help make our stay enjoyable. 08/15- The house included all necessities plus a lot of other items that helped make our stay so easy. The view was most impressive! My calls to the office were answered expediently, efficiently and with humor. It was a pleasure indeed to use your company for our vacation. We will come back again. 07/15- the VIEW, wi-fi, flat screen tv's. Very impressed and communication was outstanding! 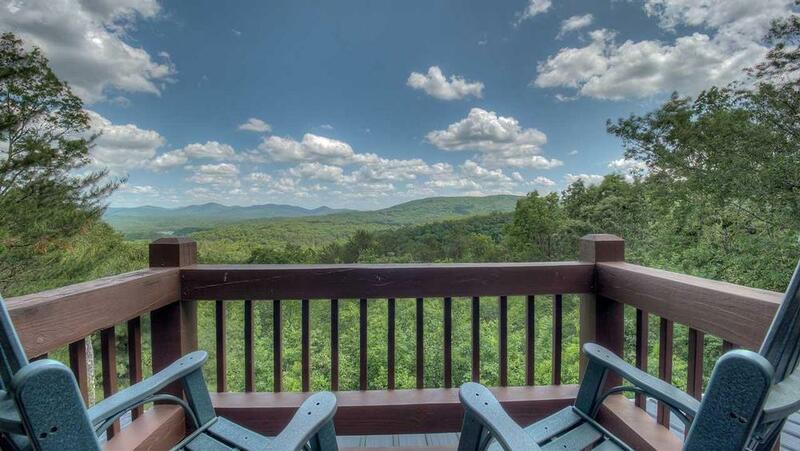 07/15- The view is stunning and the deck and home are well equipped! 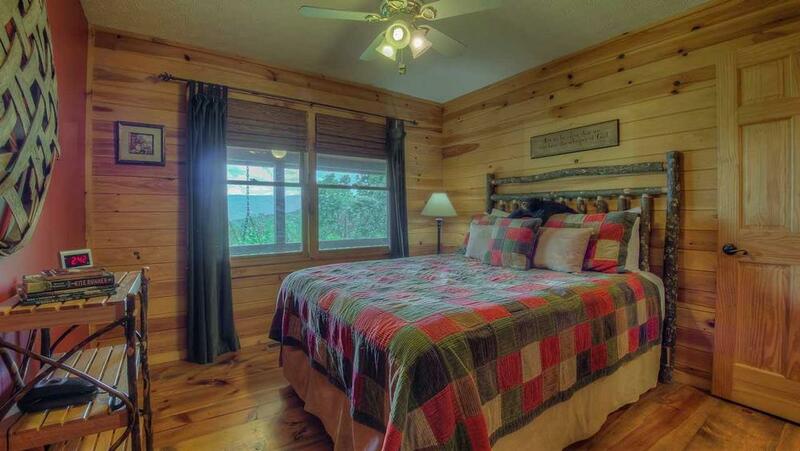 Master bedroom and deck are very nice. 07/15- The view from the back deck was spectacular. Also, the size of the deck, both covered and open allowed space for our family to enjoy. Enjoyed the overall experience and will consider working again with you on our next visit. 06/15- Great view, plenty of room. Nice place to get away. I wish we could have stayed longer. Nice place! 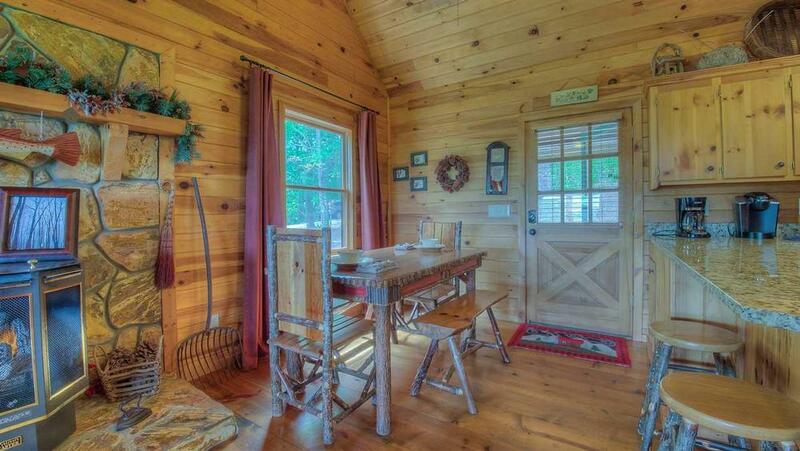 06/15- The cabin has a beautiful view and a great location! The back deck is great and I loved the upstairs deck with screen on the door. Friendly, efficient, & professional. The best rental company for this area! Thank you! 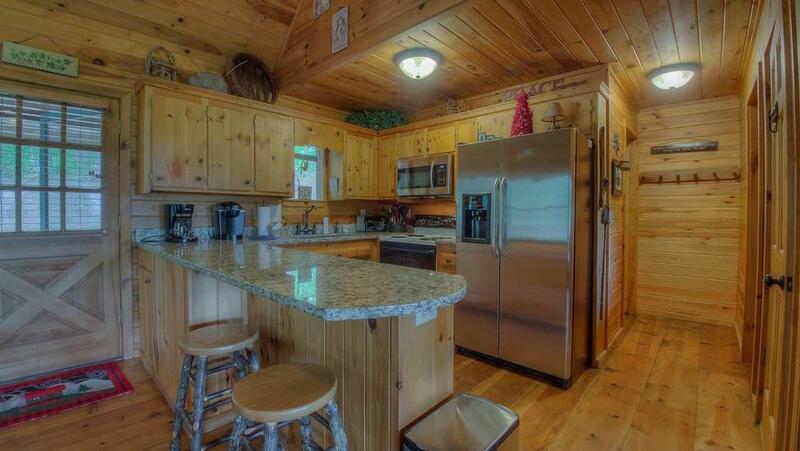 05/15- Fully stocked, kitchen,firewood,towels,soaps,beautiful cabin. Your company was great that they moved us to another cabin where everything worked and we had a great remainder of our vacation and extended 3more days,we are planning another trip there again. 01/15- We loved the three stories and my favorite is all the wood!! 02/15- Everything was laid out perfectly. The gas burning fireplace was very nice. The flat screen tv's were a plus. Master shower was nice. 01/15- Deck and view are awesome! 11/14- Loved the view, the rocking chairs, the hot tub, the fireplace and the kitchen including all of the kitchen ware.We had a wonderful time and will recommend to a friend. 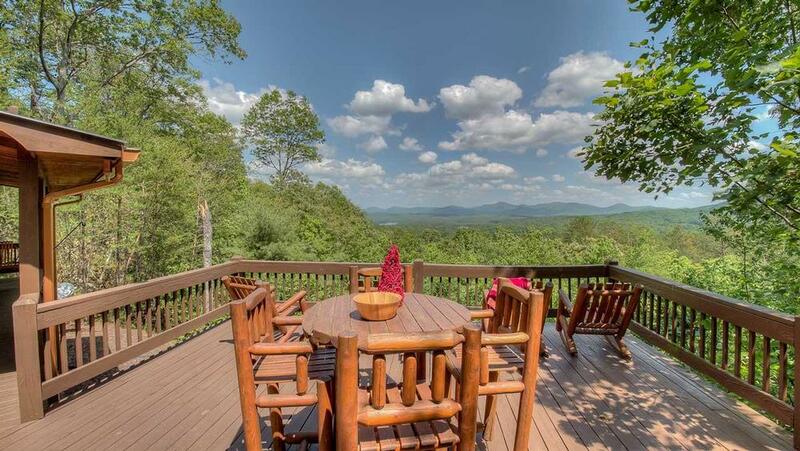 10/14- The deck and the view made for a great house! 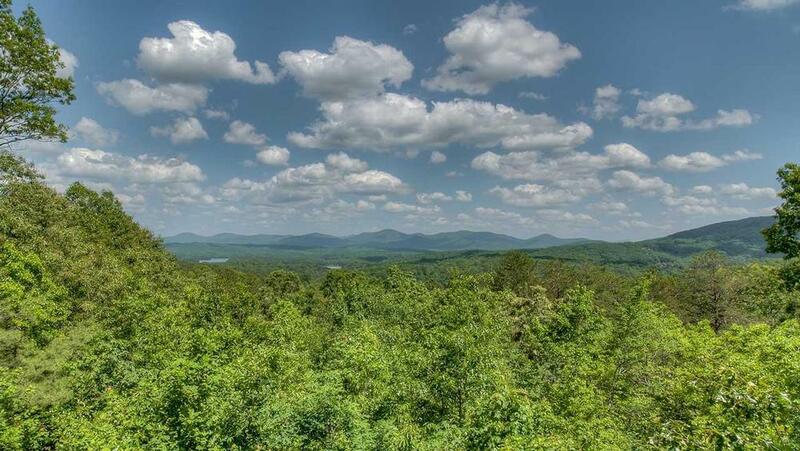 10/14- We have stayed in 12+ different cabins in the Blue Ridge area over the years and I have to say, this cabin had the best view of all of them. The view from the extended deck is outstanding and the deck is well equiped with chairs for relaxing and enjoying the scenery. 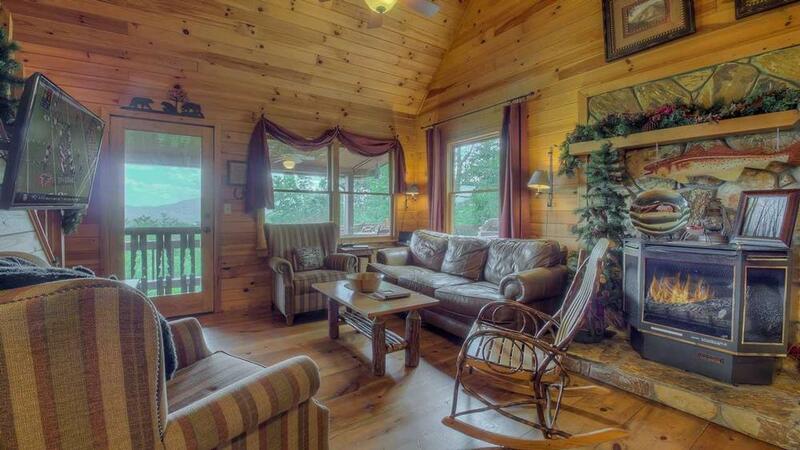 There are neighboring cabins close by but you can't see them from the deck area etc, so it feels really private. 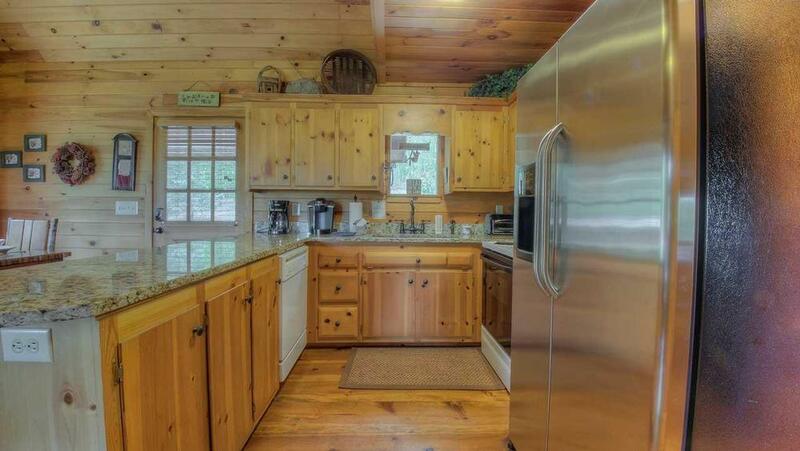 The living / dining area of the cabin is a little small and I would think would be pretty cramped if you had 6 adults staying there. The bedrooms however were spacious and the basement game room allowed some extra space for spreading out. 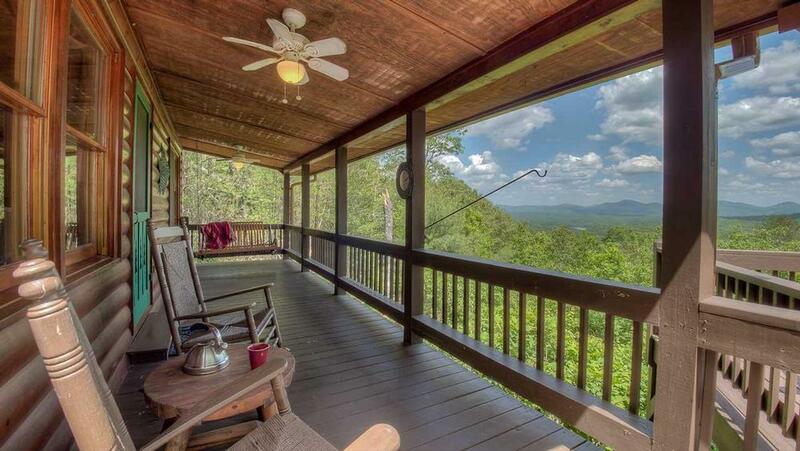 All in all, outstanding views and privacy. 09/14- View and large deck area were great. No issues booking or check in/out. When booking by phone, service was pleasant. Direct travel to and from cabin without having to go to an office was great and would make us use Escape to Blue Ridge again. Cabin was clean and as pictured/described. 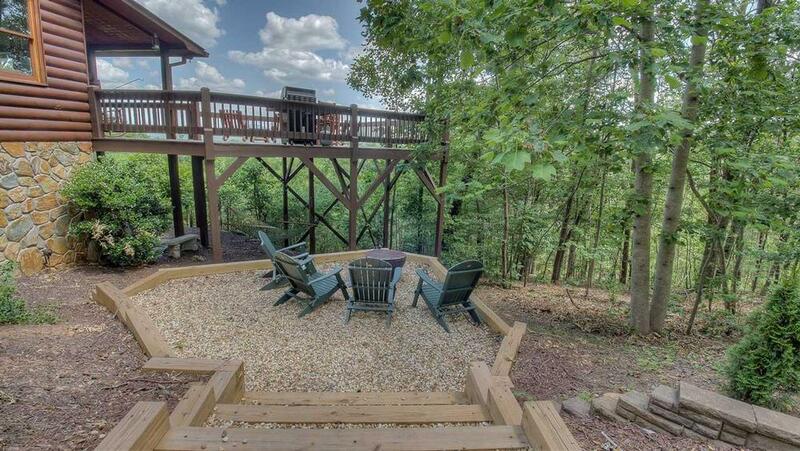 08/14- Loved everything about this home but really loved the view from the deck and back porch. Awesome!